Selfie Lab would be honored to attend your 2019 commencement ceremonies. We feel that it would be a great addition to your festivities and would benefit both your graduates and university. We pride ourselves on professional service, the newest technology, customization, and an overall positive and fun experience for you and your graduates. 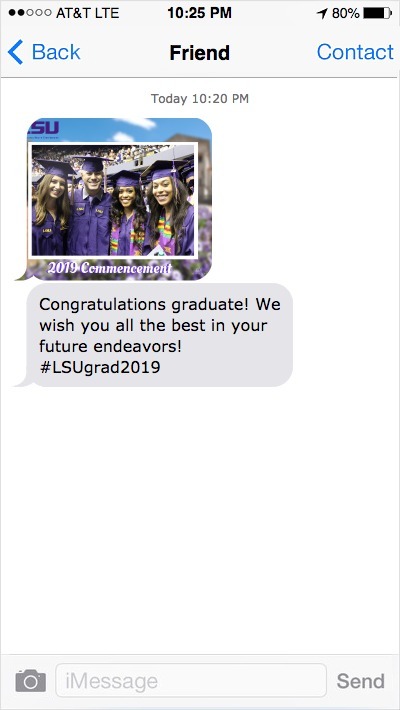 We know that Louisiana State University prides itself on being at the front of the pack when it comes to technology and social media interaction at your commencement ceremonies. Our hashtag mosaics are the perfect addition because they not only help promote more social interaction, but they also are a great way to save and capture all of the great posts in one large piece of art.